Corbett Aroma is an ideal place for a relaxing holiday to renew your spirits. 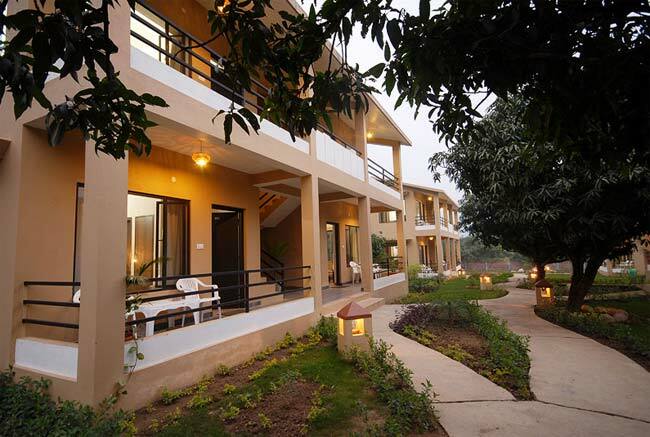 With state of art facilities located in Jim Corbett National Park, at Dhikuli Village, Ram Nagar, Uttarakhand, India. Located on the edge of Corbett National Park and reserve forest, the Kosi River runs alongside the resort for a kilometer, flanked by cliffs and forest. Multi Cuisine restaurant offers multi cuisine dishes and open air dinner. Corbett Aroma Park is ideal for a relaxing both in summer and winter holidays; nestled on the edge of beautiful mountains its exotic view of the Corbett guarantees vacations as you desire. The resort offers 4 Sunrise Rooms & Deluxe Cottage Rooms with 4 rooms in each cottage with a total number of 20 rooms. Corbett Aroma Park has the latest amenities and atmosphere according to the Wildlife environment.